Travelling to Northern Ireland to study? My Baggage can help! 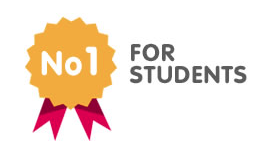 We’re the No.1 Student Shipping Company, helping 30,000+ students transport their luggage to and from university every single term. If you’re travelling to Northern Ireland from the Mainland UK, Europe or even further afield, we can help ship your luggage quickly, safely and at a great low cost. 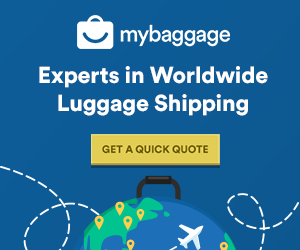 Why Use My Baggage To Send Luggage To Northern Ireland? My Baggage is based in Belfast, Northern Ireland. Cheap student shipping to NI. Price Match – if you find a lower cost, we’ll try to beat it. Full online tracking with email and text alerts. Every year, thousands of students travel from England, Scotland, Wales and more countries all over the globe to study at one of Northern Ireland’s Universities. Northern Ireland is home to a number of universities, including: Queen’s University Belfast, Stranmillis University College and the University of Ulster, which has campuses in Belfast, Coleraine, Magee and Jordanstown. It also has a variety of well respected colleges too. Northern Ireland is an excellent place to study, not only for the high level of education provided by its university, but it’s a beautiful country with vibrant towns and cities and plenty of nightlife. If you’re moving to Northern Ireland and have a ton of luggage to take with you, simply book online with My Baggage and we’ll take care of it. 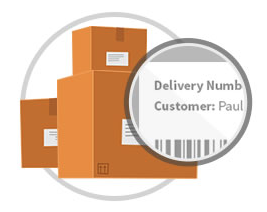 It takes just a few minutes to place your order with My Baggage and after that, we’ll take care of the rest. We’ll collect your luggage from you and deliver it to your student accommodation in Northern Ireland. You can be sure that your belongings are in safe hands with My Baggage. Our door to door service provides convenience, as well as peace of mind. We also offer full online tracking and text and email notifications to keep you updated on the whereabouts of your luggage. 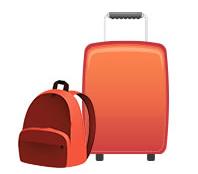 My Baggage offers £100 free compensation cover per item. If you wish, you can increase this up to the value of £1,000 for a small additional fee during booking. Before choosing your cover, we recommend taking a look at our list of prohibited and non compensation items to ensure that your belongings are protected. Moving to university has a lot of unexpected costs. Student shipping, however, doesn’t need to be one of them. As recent graduates, we at My Baggage want our prices to reflect a student budget. That’s why it costs from as little as £16.99 to send a 30kg item. That’s up to half the price of airline baggage and almost twice the weight! We also have a very handy Price Match tool, so if you do happen to find a cheaper price elsewhere, we’ll try to beat it!